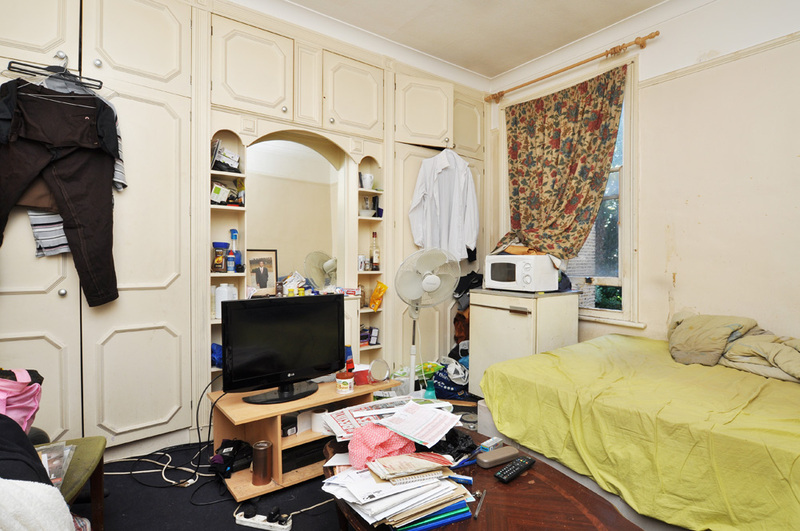 After less than a week priced at £920,000, a 5-bedroom terraced house in Peckham was just repriced at £950,000. Perhaps the owners felt the need to tease the market before getting cold feet at £586 psf. The property’s size is quite substantial measuring 1,162 across three levels. Given the size and bedroom count, the property is being offered at nearly £568 psf and roughly £190,000 per bedroom. We believe, considering the property’s need for reparations, that it is slightly overpriced, but can still turn a profit if positioned correctly. We suggest beginning the negotiations closer to £875,000 – roughly £540 per square foot, and finding a settling price near £915,000. We believe this is a realistic price drop given it isn’t far off the seller’s initial pricing. At £915,000, the project yields favorable returns between income accretion and property appreciation. Over a 4-year combined BTL-and-Speculation strategy with a Year 2 refinancing, we anticipate an IRR of 23.1% and an equity multiple of 2.0x. Even at the listing price, the project returns favorably given the strong rental market and gross yield compression as the Peckham neighborhood benefits from gentrification and increasing capital investment. According to Land Registry, house prices in the area are rising 10.9% year on year. Peckham is a neighborhood that has benefitted greatly from large gross yields, relative to other areas of Zone 1-2 London. We expect prime gross yields to compress as BTL investors and lenders begin to commit more capital to the area as it becomes perceived as a stronger, safer investment. This compression will yield a stronger sale price, especially as we expect a 6% CAGR for rents. We assessed this project as a buy-to-let investment with significant property appreciation over a 4-year hold period. We also underwrite the investment with a refinancing at the end of Year 2. This allows the investor to pull out some equity out (boosting equity returns) while taking advantage of short-term interest levels and rolling over into a new low interest rate (boosting equity cash flow). The property is in need of some repair. We allocate £16,000 for renovations in the kitchen and the addition of one bedroom on the ground floor (see floorplan). Adding an additional bedroom brings the total room count to 6, allowing for a 15-20% increase in gross income. Given the prime location, sizable bedrooms, and expected renovation, we anticipate strong weekly cash flow from bedroom rentals estimated at £170 per bedroom. Note that this is a conservative assumption, as the weekly rent could certainly be closer to £185 per week. Taking the sale price of £915,000, our entry gross yield is roughly 5.8%. This exemplifies the strong rental cash flow relative to the sale price. We expect the gross yield to compress during the duration of the project. At the end of year 2, we anticipate the property to be valued at 5.50% gross yield. This results in a Year 2 valuation of roughly £1 million. We also expect the new mortgage to carry the same terms as the initial mortgage (interest only, 2-year, 2.25% interest rate). By the end of Year 4, we expect the property’s value to drive off of a gross yield of 5.00%, as Peckham’s perceived investment safety increases and more capital flows to the area, driving down yields. The compressed yield and increased rental rates result in an exit price of nearly £1.23 million. Considering the strong rental cash flow and expected growth rates, our analysis proves the project is resilient to the purchase price. However, the investor should still strive to achieve the lowest possible entry price to protect against the potential for a greater exit yield in year 4. Note that even in an extreme bear case, with an entry at £950k and an exit at £1.02 million, the project returns modestly being supported by the interim levered cash flows from the strong rental market. For the full financial model, please contact STILL Real Estate. STILL is available for project-tailored real estate financial analysis and consulting services. Visit the STILL RE website for more information.